Totally modular. Completely modernistic. Your image is split and printed on brushed aluminum tiles. 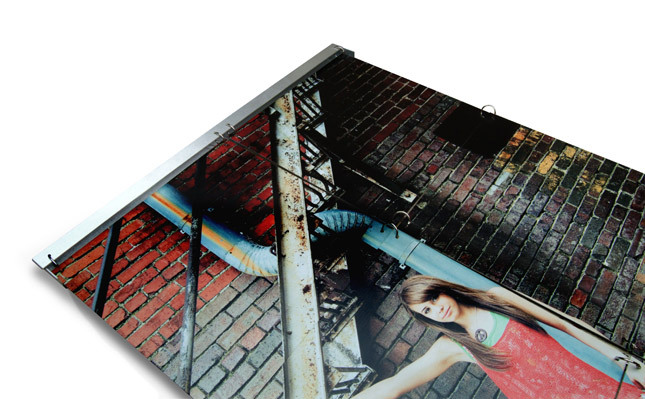 A coat of white ink is added to the aluminum surface with your image printed on top. Once assembled, the Fine Art Mural turns your photographs into a contemporary work of art. They are available in 24×24, 24×36, 24×48, and 36×48 sizes. Each mural is printed on brushed aluminum tile substrates connected with silver snap rings, each tile measures 11.7×11.7 inches.